A great alternative to a real candle. 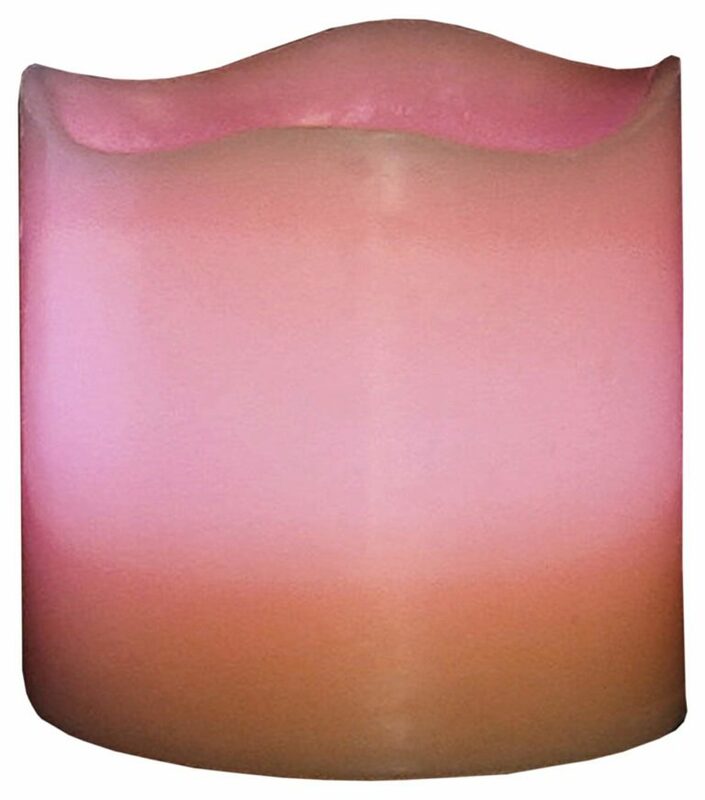 This candle is made from real wax and is vanilla scented so it looks and feels like an actual candle, yet it uses a battery operated LED to create the illusion of a real flame. This makes it is safe to touch and means it can be left unattended. 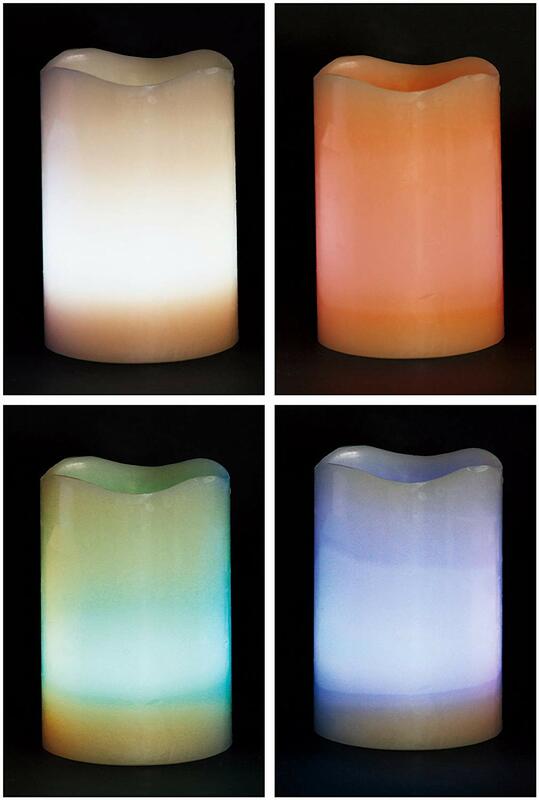 The candle can be set to ‘flicker’ or ‘static’ mode and the LED can be set to any of 12 different colours or to multi-colour when it will automatically cycle through all the colours. Create or change the ambience with your favourite colour at the touch of a button. Each candle comes complete with a remote control unit so it can be turned on/off and the colour set from the comfort of your seat. A timer function can automatically turn off the candle after either 4 or 8 hours saving batteries. Decorative – group several together to create an eye-catching display (great at Christmas). 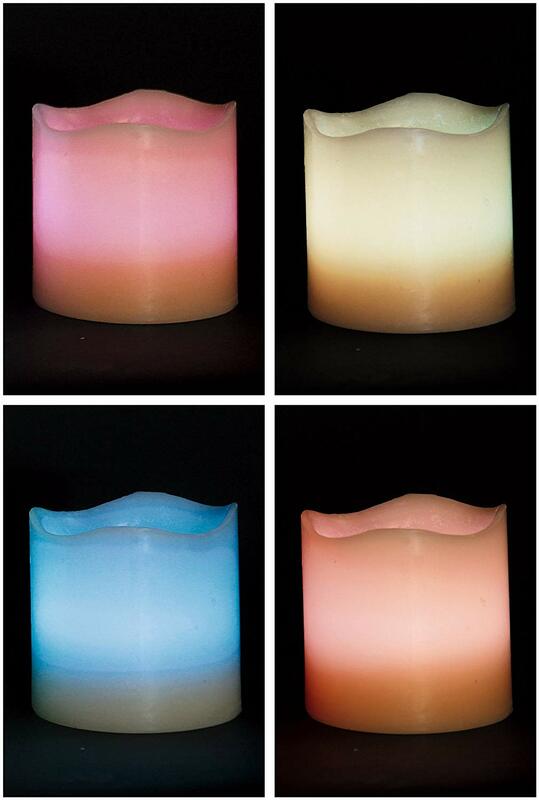 Useful at parties/events – dot several around the room and create ambience with your chosen colour. Use as a nightlight in a child’s room – the timer function can automatically turn off the light. The candle requires 3 x AAA batteries (not supplied) and the remote uses a small cell battery.